Triple-barreled Bette Davis: Deception and Dead Ringer! In Dead Ringer, Ms. Davis portrays identical twin sisters! What a Feast of Bette Davis! I wish I had immediately wooed her off-stage! Given her a love song and my home number… but… that couldn’t happen. And when it doesn’t happen, it wasn’t supposed to happen. Take your life as God and your own destiny give it to you. I had never, till recently, been a rabid Bette Davis fan. Now, however, after decades in both theater and film?! Nothing can be more exciting for me than the dueling giants you can see performing in Deception! 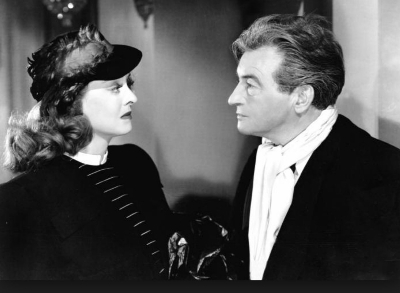 Bette Davis and Claude Rains, tearing each other apart in a doomed love story?! Acting at its very best!!! The performances are so huge and gigantically impressive to an old theater veteran like myself, they could fill a 2,000 seat, legitimate theater and lift the audience members to a standing ovation! At the Very Top of their Game!! How does the subject of Bette Davis lead me into almost another planet: the director Elia Kazan? 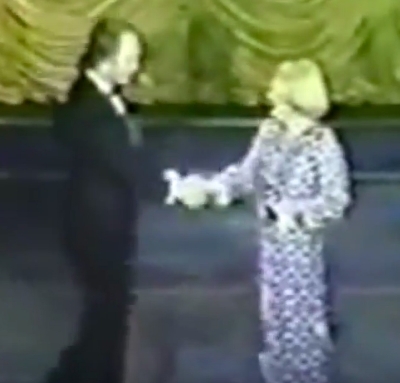 Despite the role of Julie Weston for which I was convincing enough to win the Tony Award and meet Bette Davis, I was not gay. My role in Find Your Way Home was the most shamelessly screaming “queen” that Broadway had ever seen up to then. Later in the same season, I had to answer for not being gay before a gathering of rather angry homosexuals at a famous “temple” I had never visited before: The Actor’s Studio. Elia Kazan had invited me to attend, never having told me about the critical gathering I would face. I never asked him why he’d invited me. He was a theater and film monarch, inviting me to his palace. What young actor can turn that down?! After decades of pondering Kazan ‘s decision to keep me in the dark and set me up for a most distasteful encounter, I realized that his undeniable genius as a director may well have to do with his rather dark and forbidding love for the secret games he played. His gift for setting actors against one another personally when the characters they portray in the drama are enemies. It certainly paid off in Kazan’s East of Eden. The crippled father/son relationship between James Dean and Raymond Massey was discernibly enhanced by the fact that both performers came from entirely different schools of acting. That gulf within a major generation gap was made painfully clear when James Dean, much to the visibly undeniable shock of both Raymond Massey and his character as Dean’s father… when James Dean put his arms around Raymond Massey in a desperate cry for love from him?! I don’t believe Raymond Massey, while that particular shot was being filmed, had any notion that sudden embrace would happen. Apparently, for Mr. Kazan, all is fair in love, war, the theater and film! I should have known from this experience with a director out of the legendary Group Theater and its reputation for “serious realism”… I should have realized then that my careers in both New York and Hollywood, the theater and film, would prove to be inevitably… how shall I say… awkward and, because of that, limited. Now, in my old age, despite how awkward many moments in it were, or how many opportunities for friendship I overlooked during my life, I wouldn’t change a thing. Not a single breath of it. It wouldn’t have been me. As for the blend of legends in my title? James Dean, the only one among this trio that I never met, had the longest and most profound effect upon my life. It began with his performance in Rebel Without a Cause! That film arrived on the scene in 1955 and stunned any teenager of my generation! Dean’s character of Jim Stark and its narcissistic obsession with self and how misunderstood he was by almost everyone?! That was myself and most other teenagers then. 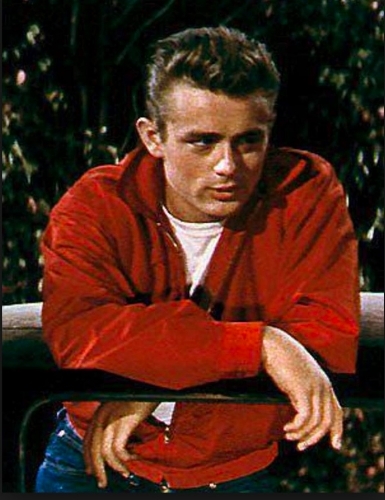 After that first experience with James Dean, I found out that basically the very same character was what made James Dean famous in East of Eden! What a feast Dean provided for my rather spoiled-brat generation!! Dean’s character went through what most American teenagers were going through. Those young, relatively pampered babies, myself included, had no idea of how privileged they were to be living in America in the 1950’s or even in turn-of-the-century California. I don’t resent any of the first-class benefits that helped spoil me throughout my life. I do, by now however, realize how divinely generous God and Life have been with me! Except for one year abroad in Europe and England, life, for myself at any rate, has been an increasingly infinite feast! Even the later nightmares within my 1963-64 year abroad most likely saved my life! Its events and their effect on me made me ineligible to serve in Vietnam. Had I served, even in perfect health, I am certain, in the middle of that nightmare, I would have stopped the first, flying bullet I could find and been killed. God has been watching over me for my entire life and most of that time I was unaware of just how lucky I have been. Now I am blissfully working on a ten-year project: my nine opera series that I’ve entitled The Lionhead Ring. Rather like Claude Rains with Bette Davis, I am dueling as a composer and librettist with, of all geniuses, the great opera-dynamo, Richard Wagner and his Ring of the Nibelungen! I’m way out of my league?! If God gives me the ten more years I need?! Don’t be too sure about that.